The U1 Plane Table is really an archetype of a modernist table system, conceptualized, designed and executed in the most rational way possible. With the tabletop appearing as if floating on the base, it marries uncompromised simplicity with a bit of sophistication. 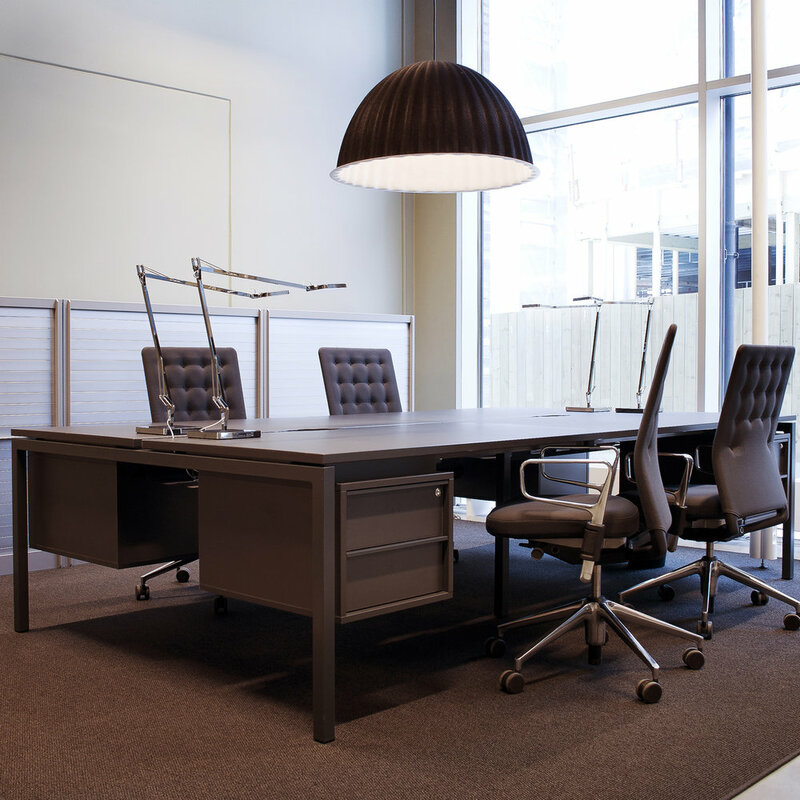 The series incarnates neatly in many different formats - including single desks, shared workstations, meeting tables and more. The legs are made from metal tubes - 40x40 mm in powder coated metal. Metal to metal connections secure easy and quick assembly / disassembly. All legs have plastic feet with height levelling (+10 mm).